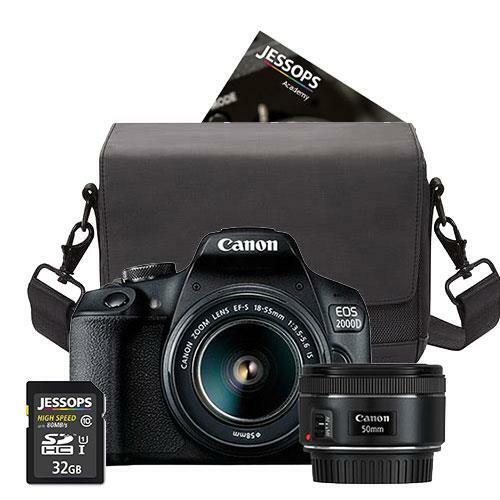 This Canon EOS 2000D DSLR Twin Lens Starter Kit has been designed to help you take the very best photos. Whether its landscape or portrait that sparks your photography passion, then this kit can help you get that perfect shot. 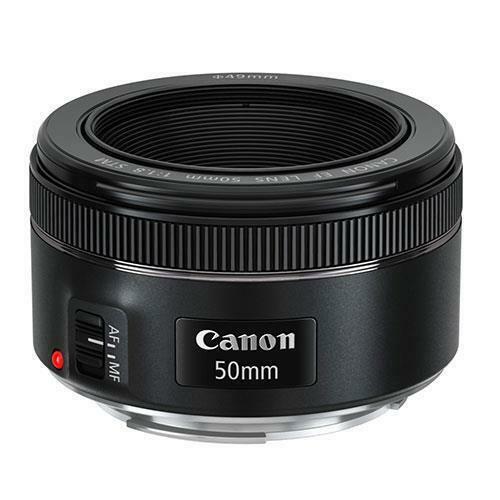 The kit contains not only the camera itself but two lenses each designed to suit your needs, whether that’s the lakes in Scotland with the 18-55mm all-rounder lens or beautiful portraits of the family with the 50mm lens. 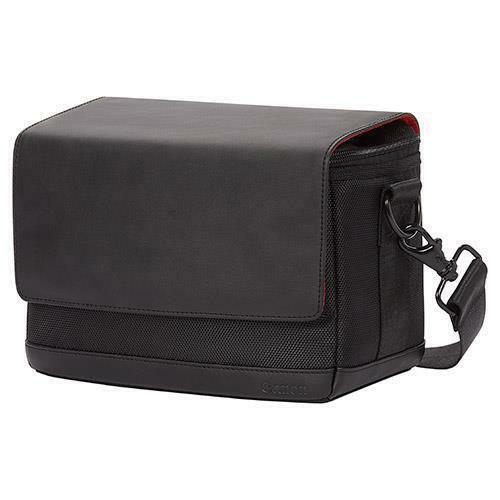 To carry your kit, a Canon SB100 shoulder bag SB100 is included along with a Sandisk 32GB memory card to record your images plus a 1-to-1 training course voucher to help you get the very best from your camera. 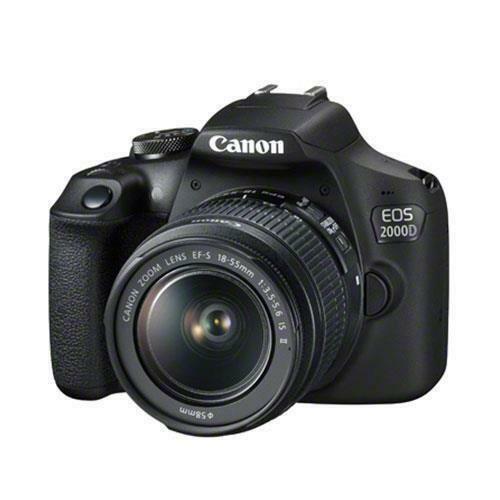 The Canon EOS 2000D is an easy-to-use, 24.1 megapixel entry-level Digital SLR with lots of useful functions and modes to help you start taking great DSLR photos and Full HD videos, even in low light. You can instantly share your images and control the camera remotely with Wi-Fi and the Canon Connect app. 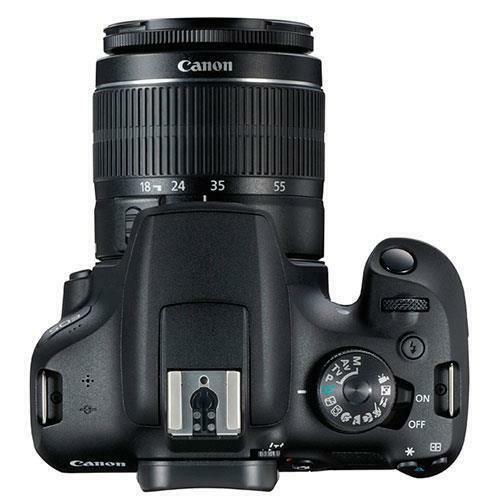 Easily and intuitively capture superbly detailed professional-looking images and cinematic Full HD movies in tricky lighting situation thanks to a large 24.1 Megapixel sensor that’s up to 19x larger than a typical smartphone. Add impact with your subject standing out against beautiful background blur. •	Sharing to social media and irista cloud back up is easy on the go with Wi-Fi, NFC for one tap pairing and Canon Connect app. It’s simple to transfer images to compatible smart devices plus you can control your camera remotely from your phone for great selfies and unique images from unusual angles. Feature Guide Get easy to follow guidance on DSLR photography with the in-camera feature guide and downloadable Photo Companion app (Android and iOS). Easily expand your shooting options with an extensive range of interchangeable lenses and accessories. Take partial or full manual photographic control when you’re ready. 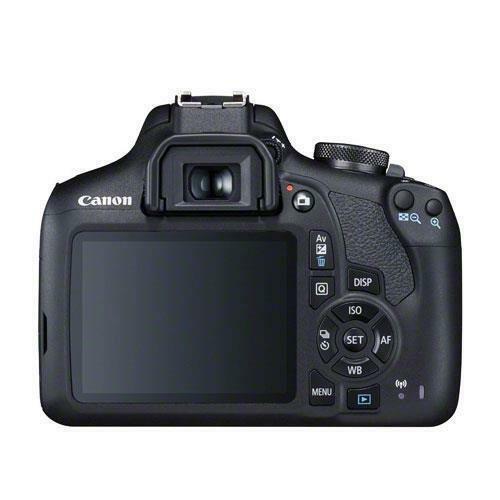 Catch spontaneous moments with fast auto focus and full resolution shooting at 3.0 fps. Easily compose and frame your shots using the optical viewfinder and see the results instantly on the user-friendly, 3-inch (7.5cm) LCD screen. Shoot images exactly as you remember thanks to the DIGIC 4+ processor.